Splash Plugin: Easily Create Splash Tabs With WordPress! Splash Plugin can be installed like any other WordPress plugin. If you aren’t familiar with WordPress plugins, don’t worry too much because Kevin shows you what to do in a video tutorial. Once installed and activated, you will see two new sections in your WordPress menu: Left SplashBars and Right SplashBars. As you can imagine, the Left SplashBars menu is to set up a splash tab on the left, and the Right SplashBars menu to set up a splash tab on the right. Click ‘Add New’, and there you will be able to enter content: text, images, videos, polls, optin forms…Pretty much anything! Then comes the best part, you get to choose how the splash tab will look like. 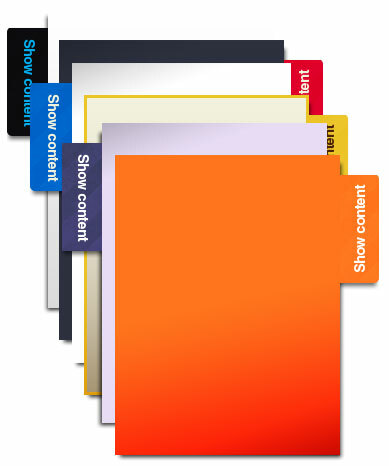 Splash Plugin comes with a variety of templates that you can use. You can even edit them so it really fits your page, and upload your own background image! You also get to choose whether you want to position the tab as absolute (you can’t see it if you scroll down) or fixed (you can see it regardless of where you scroll to). Splash Plugin comes with 42 pre-designed tabs – excluding bonuses – with 7 designs and 3 sizes (for both sides) and 42 PSD files for advanced users. I added a splash tab example to this site: BenQ Projector. You can see it on the right. Looks cool, right? This is a very basic example, to show you how easy it is to set up, but you can of course add more content including images, videos, optin forms, polls… and make it look a lot better. If you find out about Splash Plugin now, then you missed out the dime sale, BUT I managed to get a special deal for you! Kevin charges $47 for Splash Plugin, but if you buy it through my affiliate link, you will get a $10 discount, which means that the plugin will only cost you $37! That’s a steal! Haven’t been online long but desperately trying to make it. Your articles have been a great help to me and I will be coming back to check on updates to your blog. I really enjoy using this plugin. It is absolutely the best wordpress plugin I have ever used.